We’d love your help. Let us know what’s wrong with this preview of I Heart Rome by Maria Pasquale. A love letter to Rome, with beautiful food and location photography, classic recipes, and stories from the heart of the Eternal City. Rome is an open-air museum; it's a modern-day marvel of a city that has seen centuries of emperors, popes, movements, triumphs, and tragedies. 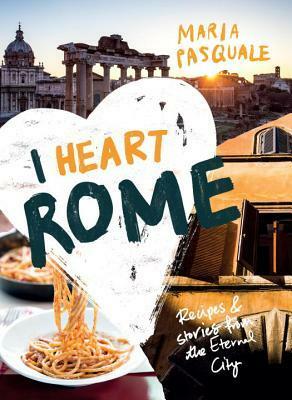 It's a city where the present and past sit side by side and interact in a beautiful, yet sometimes A love letter to Rome, with beautiful food and location photography, classic recipes, and stories from the heart of the Eternal City. Rome is an open-air museum; it's a modern-day marvel of a city that has seen centuries of emperors, popes, movements, triumphs, and tragedies. It's a city where the present and past sit side by side and interact in a beautiful, yet sometimes complex, kind of way. Rome begs to be uncovered at every turn. Through quirky local stories and glorious pictures, I Heart Rome takes you on an inspiring journey through the Rome that tourists rarely get to see. In a country justifiably famous for its food, Rome boasts its own fascinating and unique cuisine that is intrinsically tied to its history. Influences from Ancient Rome through to more recent events are reflected in the food culture of the Eternal City today. And given the passionate nature of Romans as a people, it's no wonder that dining is taken so seriously. From carbonara recipes to artichoke-frying techniques, just about everything food-related is up for--and causes much--debate in Rome. To ask other readers questions about I Heart Rome, please sign up. 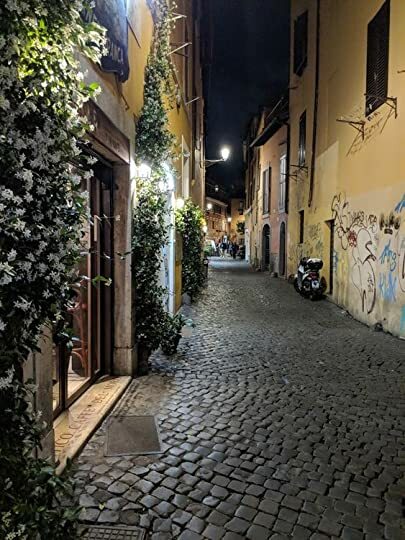 We visited Rome a few months ago and while there, we went on an evening food tour, something that I highly recommend if you do get the chance to visit Rome, or really any destination. Food tours are such fun. You not only get to go on a tour of places that you may not have found otherwise, but you also get to have some amazing food. Our tour stopped at a “biscottificio”, a biscuit shop. The people here are as sweet and lovely as their biscuits. 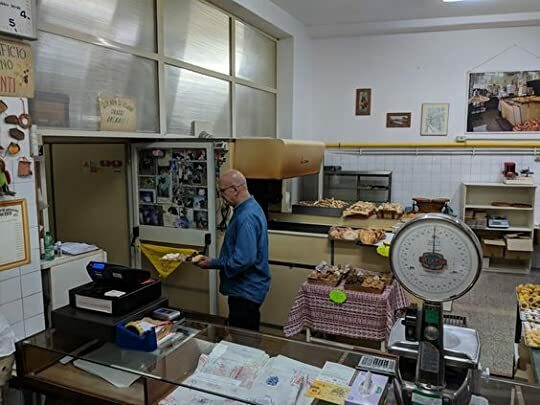 While sampling all their delicious good We visited Rome a few months ago and while there, we went on an evening food tour, something that I highly recommend if you do get the chance to visit Rome, or really any destination. Food tours are such fun. You not only get to go on a tour of places that you may not have found otherwise, but you also get to have some amazing food. While sampling all their delicious goodies, I asked our guide if he can recommend a good Italian cookbook. He asked the owners. They happened to have a whole stack of cookbooks piled up on a stool. After much animated Italian back-and-forth, they reached for this book and told me that this is the one that I should get. We took note of it and ordered it later. When the book arrived, while skimming through it, I was thrilled to see a recipe for her “Brutti Ma Buoni” (“Ugly but Good”) biscuits, which are just the best. There’s also a double-page spread on her and her shop. This book is nostalgic for me and it’s also gorgeous. The photos are incredible. If you’ve been to Rome or are about to go there, skimming through this book and reading the stories and quotes is an absolute delight. I tried out a few of the recipes, since I don’t think that I am in any position to review a cookbook if I don’t try out at least one of the recipes. I tried the Mascarpone Mousse. This recipe was an absolute and utter disaster. I think that it’s either missing some ingredients or some steps. The following evening, I tried the Cacio e Pepe (spaghetti, cheese, and pepper). I was the only one in the family that thought it was okay, not good, just okay. No one else liked it. Finally, I tried the Stracotto (slow-cooked Jewish beef stew) and the Pollo alla Romana (Roman-style chicken). Everyone liked both of these, much more so the latter. As far as cookbooks go, it’s not the most practical. Many of the recipes have ingredients that are hard to get, at least hard for me anyway. That is disappointing. For example, I cannot get cured pork cheek or calf intestines. Many other recipes have far too many steps and look quite intimidating. As far as attractive books go – beautiful photos, stories, quotes, layout, and recommendations for the best places to eat in Rome – I would give this book 5 stars, but since it’s a cookbook and not the best when it comes to recipes, it’s a 4-star book for me. Full disclosure, Maria is a good friend. Her book is a delight for anyone who loves Rome and Roman food. The photography captures that evocative Roman light and hue and the recipes will bring you straight to the trattoria table no matter where you are.